It’s hard to believe that our trip here is coming to an end soon. This is our third and final week in San Sebastian and it’s definitely bittersweet. On one hand, I miss home and cannot wait to see my family and friends. While on the other, I am just starting to establish a routine and can finally navigate the city without getting lost. I have really enjoyed my time in Donostia, where I can get a daily dose of gelato at almost any hour of the day. And though at times it is difficult to get myself to wake up for Spanish class at Lacunza in the morning, I enjoy going because of both the learning and social aspect. Lacunza is a social hub of international students, which perfectly represent the city itself. There are the fluent Spanish teachers from Spain, who represent the locals, and the students from across the globe, who represent the enthusiastic travelers. After being here for two weeks already, I can understand why San Sebastian will be named 2016 European capital of culture. 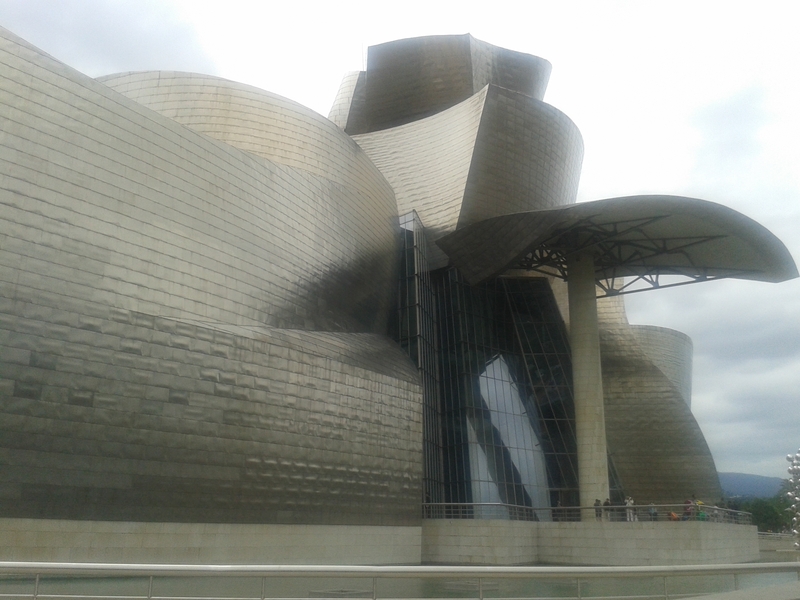 There is a mix of culture, both old and new, which was something that I also noticed on our day trip to Bilbao yesterday. We started our day relatively early and took an hour bus ride into the city. Fun fact, J.R.R. Tolkien named the character Bilbo after this city. I digress, but during the ride from San Sebastian, we drove through the countryside. 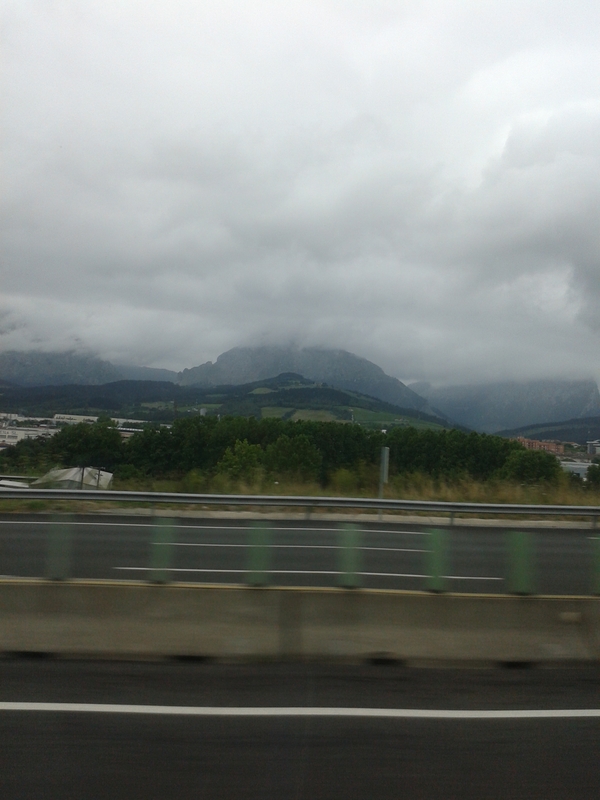 It was quite a view, seeing the fields of green and the clouds just covering the tops of the mountain. And as we got closer to Bilbao, the countryside started to fade away and we entered a city that was very similar to San Sebastian. Not too long ago, Bilbao was an industrial city. It remained that way until the Guggenheim Museum was built there. But what I liked most about the Bilbao was it’s mix between old and new. There were older buildings and structures, such as the city hall or the buildings by the Parte Nueva, “the New Part”, as well as newer structures like the Guggenheim Museum or the very aesthetically pleasing Zubizuri bridge. 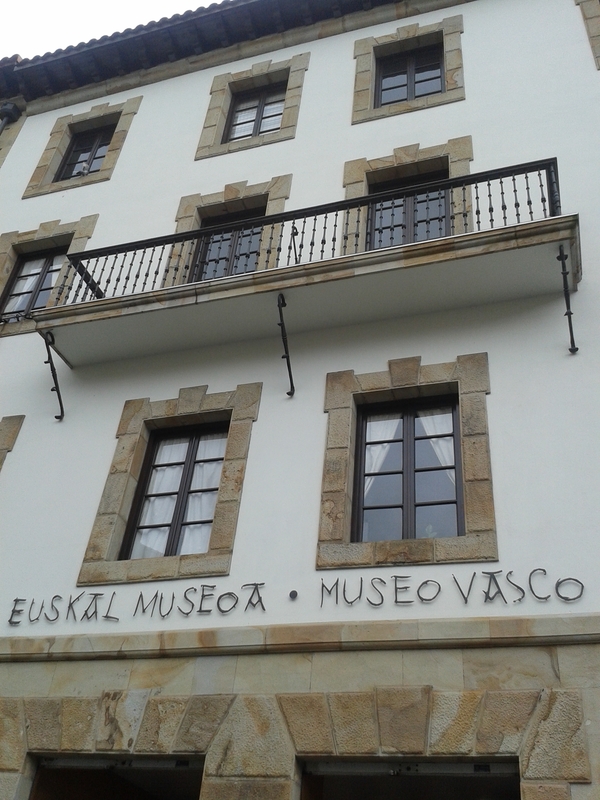 While in Bilbao, we visited the Museo Vasco, and we learned about about the Basque culture, from daily living to primary export to traditional celebrations. One peculiar tradition we learned about was one where people would wear oversized heads and hit children over the head with lamb bladders. Apparently, lots of children get scarred from it, yet this is still something that continues on today. After learning about the history of the Basque people, we went to Guggenheim Museum, which was quite a contrast from the Museo Vasco. The Guggenheim Museum features modern art, some of which, in my opinion, was a bit strange. 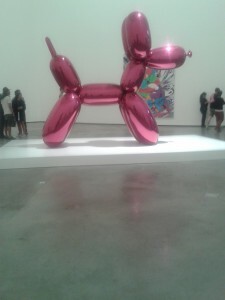 For instance, there was a huge statue of a balloon animal in a shape of a dog, which was a part of a larger exhibit that represented happy children’s memories. However, the very first gallery I went to was The Matter of Time by Richard Serra, which featured eight massive steel sculptures, was more enjoyable, mainly because the art was interactive. Viewers could walk into the sculptures, which were meant to create a dizzying effect. Although we spent the entire day in Bilbao, I wish we had more time to explore the city. The theme of new versus old was very prevalent on yesterday’s excursion, as well as on the entire trip. Walking around both cities we can see how old traditions linger in everyday life. More importantly, we experience how proud the people are to be apart of the Basque Country. This entry was posted in Uncategorized by kayla_chan@student.uml.edu. Bookmark the permalink.